You are here: Home / 2017 / Religion in India: a visual beauty, but an environmental burden. Unlike anywhere else in the world, India’s religious character has an overwhelming abundance and diversity. It has provided so much to share with the world, including celebrations, monuments, and medicine. Religious life in India pulls westerners into exploring this country’s complexity. Many seek out the religious presence in India as a chance to experience something that will change their lives forever. As our group travelled through Pondicherry and Mahabalapuram to explore just a part of India’s Hindu religious history, I often felt overwhelmed by how much enthusiasm India’s people pour into their spiritual lives. Crowds poured through the Ganesh Temple. Bodies lay stretched across the floor beneath idols and individuals danced at the altar statues, and beggars pulled the probable last few bits of change out of their pocket to bless the God of luck all in hopes of receiving some luck of their own. I felt overtaken by the silent crowds praying around Sri Aurobindo’s body inside the Ashram, and walking the streets outside Pondicherry I continued to think about the beauty of Hindu women adorned with their bindis, the colors of the Hindu religious symbols on the sidewalks, and the temples elaborately decorated with relics. Looking from the outside into such a diverse climate of practice, we focus so much on the beauty that religion and more specifically Hinduism creates in India, that we fail to recognize that something so beautiful could have negative consequences. In reality, beyond the temples, the celebrations, the medicine, and the rich culture, India finds itself trapped by its greatest threat which is also its greatest strength—Hinduism. Today, India’s Hindu religious practices have created a tangled web of problems that in the new age of synthetic goods and technology that provide a major threat to the country’s environmental health. More specifically, celebrations such as Diwali and Holi pose the biggest threat to the viability of India’s air quality and the health of its people. 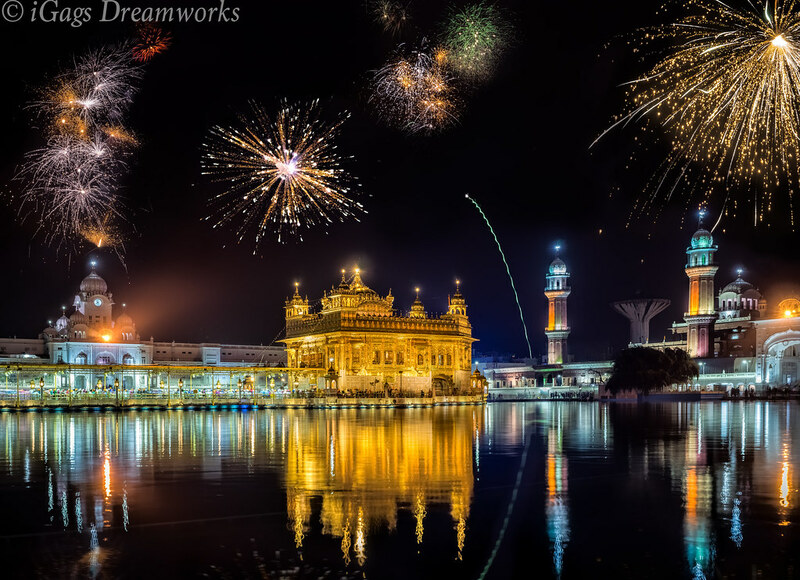 In Hindu culture, Diwali symbolizes the festival of lights. Every year, people prepare to celebrate by lighting earthen lamps and firecrackers. As a result, the production of fireworks and explosives this time of year rapidly increases. Firecrackers fill the streets for sale just as quickly as factories recruit children for cheap labor and mass production. This creates a problem for child safety considering factories report accidents with explosives annually during the mass production for Holi season. Furthermore, production of these explosives also contains dense concentrations of heavy metals and polluting chemicals. Explosions from the fireworks release pollution and heavy metals into the atmosphere increasing the particulate matter levels by 5 to 8 times the safe standard. Last Diwali, the PM level shot up to 10 times the safe standard. Holi represents the festival of color in Hindu culture. 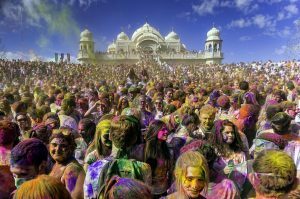 During Holi, crowds gather together with dry and wet dyes and celebrate by throwing pastes and colorful powders into the air and to coat each other with rainbows of beautiful color. Originally Hindus gathered organic materials from trees that provided natural pigments in order to make the colors and dyes for Holi’s celebration. Today, organic matter rarely supplies the population demand during festive season, so factories produce synthetic colors with harmful ingredients. The dyes contain toxic acids, mica, glass, alkalis, and carcinogens that cause skin allergies and even raise risk of cancer. When thrown, the dye coats the ground and dissolves into the water system contaminating the soil which kills microbes, and puts anyone who drinks from the water supply at risk for illness as well. 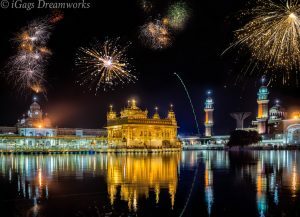 Diwali and Holi just represent two different examples of traditional Hindu practices that have begun to cause a major environmental threat to India in the modern world. Other traditional practices such as Bhogi and Ganesh Chachurthi pose risks as well, since the incineration and sinking of relics leaks toxic particulate matter and heavy metals into the atmosphere and ocean. During each of these festivals, Hindus celebrate vastly different things, but collectively each of these problems has a consistent general theme—negligence. Much of the Hindu culture revolves around an individualistic mentality. In practice, Hindu culture promotes heavy concentration on personal hygiene, but collectively a negligence for cleanliness outside of the household has been ignored. As Dr. Roja explained “India is a country of private hygiene with public filth!” It seems counter intuitive that something so beautiful in principle causes so much destruction in practice, but a lack of attention on individual actions has led to detrimental harm in a community (Roja, 2017). It will prove impossible to restrict cultural practices that have lived in a civilization for centuries. As a result, solutions must come from the issues addressing the production of these religious goods. Only then might India find a way to eliminate the dilemma behind their rituals of practice. Dr. Roja, Personal Hygiene and Public Health in India, MCC IGH, 2017.